Keep your bronze glow fron sun up to sun down! This Oil Absorbing Formula helps eliminate excess oil from the skin leaving you with a perfect matte, shine-free complexion. 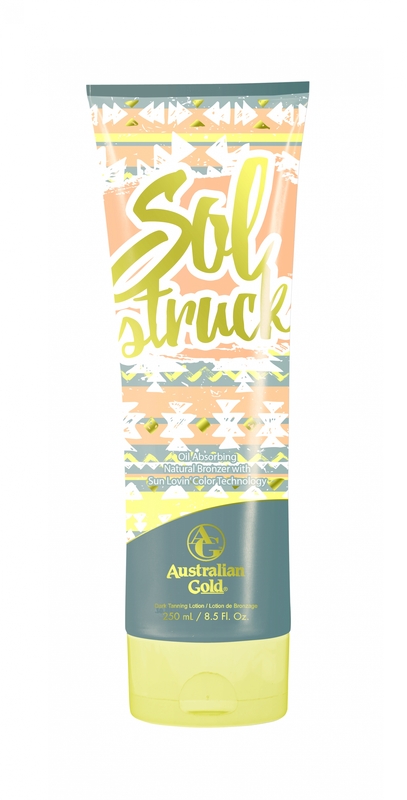 Sun Lovin' Color Technology gives instant straight-from-the-beach bronze perfection, while Native Australian Plums from the Outback Fruit Blend help nourish and guard that sunkissed color. Relax as the Vitalize Blend helps to alleviate dry skin and combat stress, leaving skin radiant. Everyone will be Sol Struck™ by your stunning, sun-kissed radiance.